I wrote this on April 15, 2007, and have written many more articles, but at this time, I am copying the old article. I had the opportunity to attend two events today – Yom Milaad-un-Nabi; celebration of birth of Prophet Muhammad (pbuh) and Yom HaShoah commemoration of the holocaust and am pleased to share my understanding and experience. Our mission at World Muslim Congress is driven by the Qur’an, Al-Hujurat, Surah 49:13: O mankind! We have created you male and female, and have made you nations and tribes that ye may know one another. The noblest of you, in sight of Allah, is the best in conduct. Allah Knows and is Aware. In pursuing the ideals of Islamic pluralism, we have made our purpose to be inclusive of all humanity that God has created, the whole world is one family, as Hinduism puts it succinctly “Vasudeva Kutumbam”. As Muslims, we want to understand the pain and suffering of those how have endured such adversity; as Muslims, we want to be blind when it comes to serving the humankind, serve regardless of who they are; as Muslims, we believe Justice means fairness and equity with prejudice towards none; as Muslims our presence should give a sense of safety, security and peace to those around us. To us, that is Islam in a nutshell, aspiring for a just society and striving for that elusive equilibrium between man and his environment. 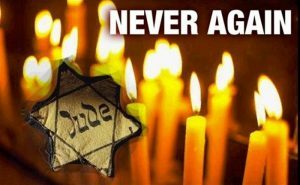 The Jews in America and Canada commemorated the remembrance of Holocaust also known as Yom HaShoah on Sunday the 15th day of April, 2007. I attended their service honoring the survivors at the Congregation Tiferet Israel in Dallas, organized by the Dallas Holocaust Museum. Nearly 2/3rds of European Jewry or about a 1/3rd of the world Jewry were ruthlessly murdered for who they were; Jews. Collectively and shamelessly, the world represented by you and I stood by watching it happen, we did not take any action until 6 Million Jews were murdered. Where was the sense of Justice in the world? Yom HaShoah is about coming together annually and reflecting about ourselves and our role in the world as individuals and as members of the world family. How do we cope with the immense pain of going through harrowing experience when faced with death, and you cannot do anything with the ruthless, cold-blooded and obdurate marauders in front of you. Worse than that is the feeling of helplessness and betrayal knowing that the world family is literally standing by and doing nothing. This is even more torturous before facing the excruciating hell. It is hell both ways, sometimes we lose faith in humanity. On this day of reflection, we need to understand, and learn how to nurture the humanness within us; salvation stems from being a human in union with God. Regardless of the depth of our understanding of this observance, it could pave the way for us to learn and understand how we have dealt with the Holocaust. How the world and the Jews are dealing with it for the last sixty-two years? We are in great need of healing, and it would be a good beginning to share each other’s experience to strive for a better world as God has said in the above mentioned verse. “Holocaust is a reminder to awaken compassion in all of us as humanity.” As one of the most prominent survivor Elie Wiesel puts it. Perhaps the Holocaust can be a lesson in turning evil into blessing and make a commitment to speak up. “Never again” is the phrase we need to understand and utter all the times. It can mean that, we who have understood the suffering of genocide commit to ourselves to never allow this thing to happen again. We have to make that commitment and become morally sensitive to honor every life form that God has created. If we want others to honor our life, we need to ask what we have done to generate reciprocation. This week we remember the six million innocent people, who did not do any wrong to any one, except that they believed in the God the way they knew. We can turn their memory into blessings and honor their sacrifice to bring a just peace to the Middle East, one in which the security needs of the Israelis and the legitimate needs of Palestinians are recognized, as the future of Israel and Palestine is protected. Some day the peace will come, let us not postpone the responsibility to the next generation, we have passed the buck for over 60 years and it is time we make sincere efforts to end it. So never again, we will stand silent when human beings are treated unjustly, unfairly. Dalai Lama says, “Because we all share this planet earth, we have to learn to live in harmony and peace with each other and with nature. This is not just a dream, but a necessity”. We have to work out ways to live together, co-existence is a necessity. We owe it to the next generation, so they can sleep in peace, go the school in peace and mothers can shop in peace. Peace is in our interest. I urge every human to visit the holocaust Museum in their own city, and I do appreciate the Congregation to mention the presence of World Muslim Congress by Mr. Ely Dlin, director of the Holocaust Museum. It is a moment that I cherish; we have to acknowledge each other in the tiny steps we take in developing an understanding of each other. Thank you Mr. Dlin, we appreciate it.